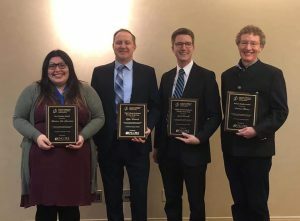 The University of Indianapolis Department of Music continues to set standards of excellence that receive national and regional recognition. Brenda Clark, assistant dean of the Shaheen College of Arts and Sciences, Jacqueline Wiernicki ‘19 (instrumental/ general music education), and Anna Miller ‘20 (choral/ general music education) received National Association for Music Educators (NAfME) awards at the annual Indiana Music Educators Association (IMEA) conference in Fort Wayne. Clark, associate professor of music and director of music education programs, received the Outstanding Collegiate Educator of the Year Award. She is the only educator to receive this honor twice. Wiernicki and Miller were named Outstanding Future Music Educators. This is the 11th consecutive year the award has gone to a UIndy student, for a total of 16 individual awards since 2009. Both award recipients pointed to the music department’s emphasis on fieldwork that begins early in the program. “Aside from studying privately and taking classes in theory, we are out in schools observing and learning from active music educators from year one. This gives us the opportunity to get our feet wet and see what the profession is all about firsthand,” said Miller. 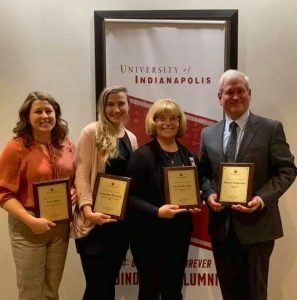 Other UIndy honorees at the conference include alumni Shaina Liv Lescano ‘18, who won the New Teacher Award granted by the Indiana American String Teachers Association, and Mick Bridgwater ‘73, who received the Outstanding Hoosier Musician Award. 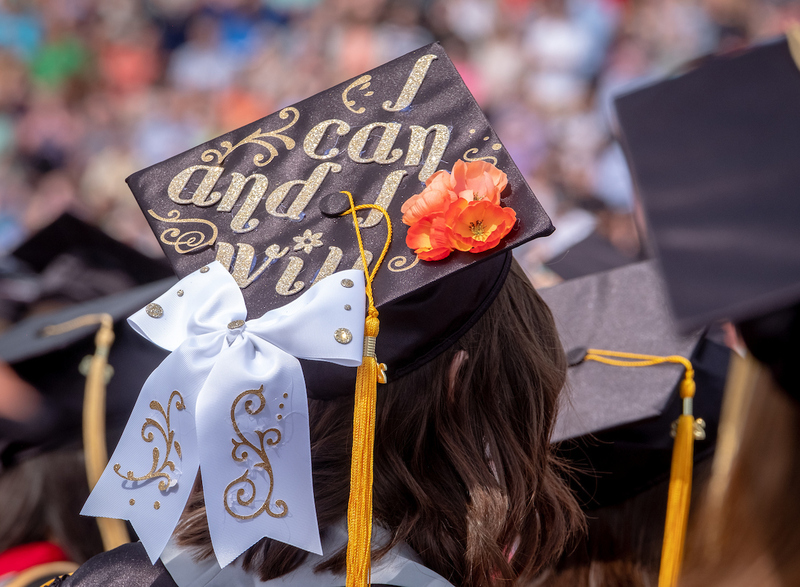 Congratulations to Greyhound faculty, students, and alumni!